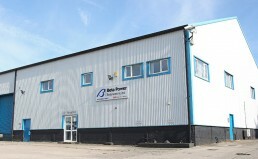 With continued success Beta Power Engineering expanded in 1985 taking over a manufacturing facility, allowing us to meet the requirements and needs of our customers in offering bespoke ‘Special Motors’. Such requests include extended, reduced and threaded shafts to custom machined output flanges. Our Staff are our greatest asset. As timed served engineers we understand your technical enquiry and have the experience to help with initial product selection or offer solutions to your problem. If you can not find what you are looking for on our website, please feel free to give our sales team a call.